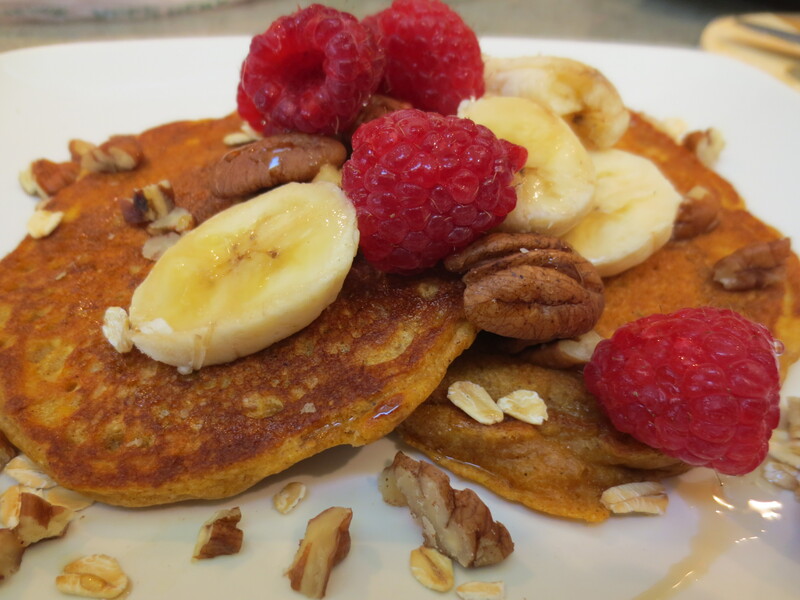 Meat free, gluten free, but full on flavor! 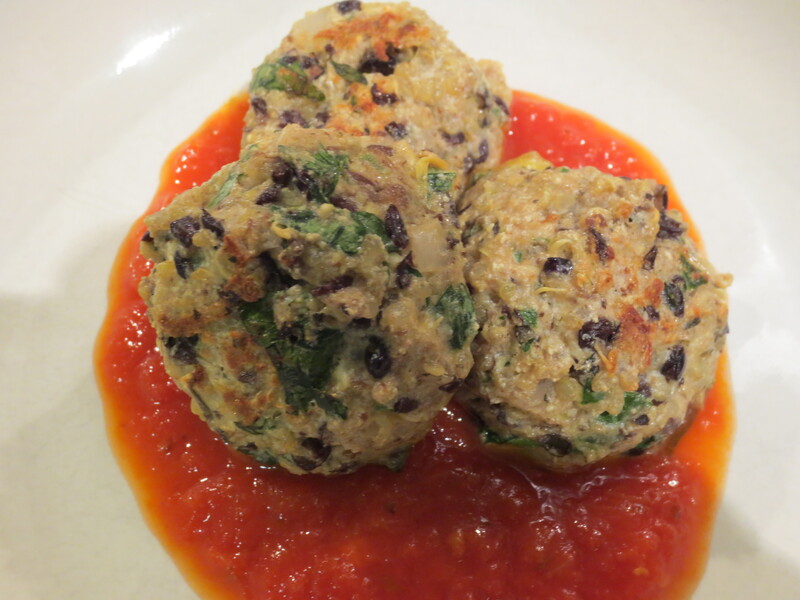 These tasty lentil meatballs are the perfect prescription for any vegetarian missing that classic childhood favorite “spaghetti and meatballs”. 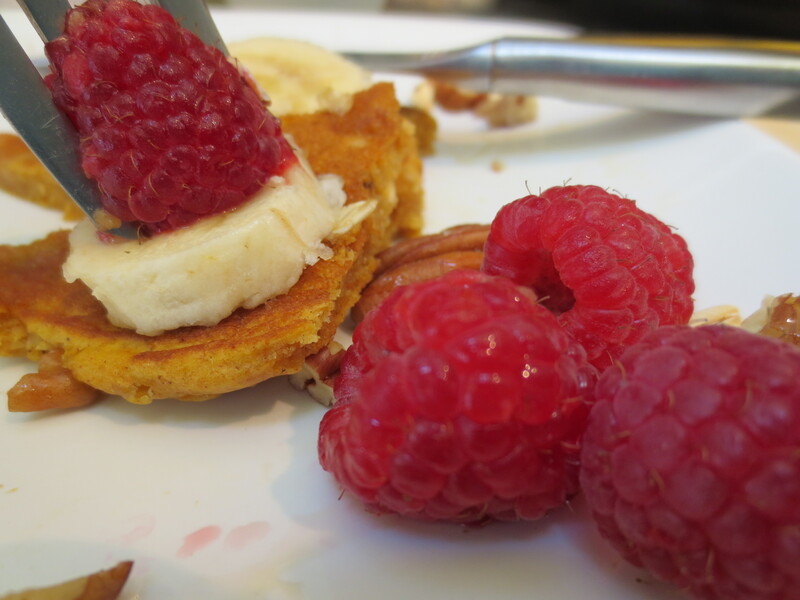 But these little bites are so yummy even meat eaters won’t miss the meat. These are in regular rotation at chez Jones. 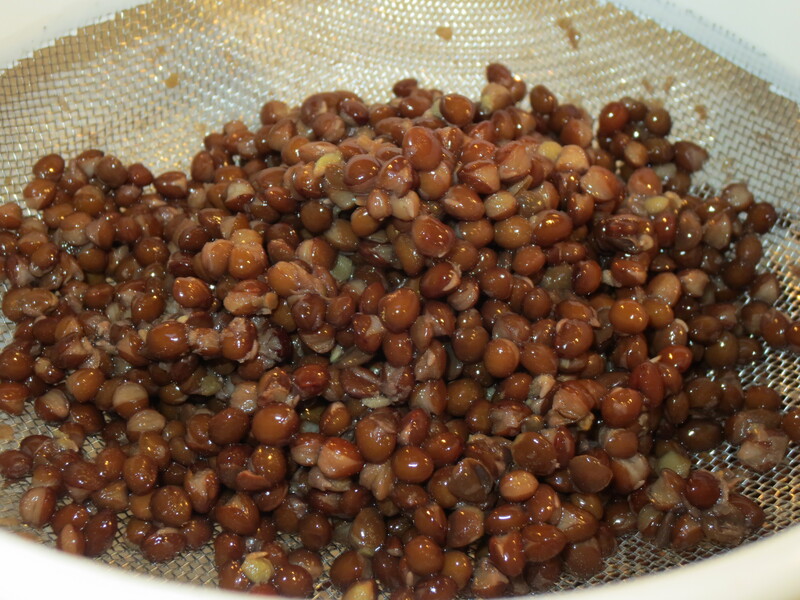 Drain and rinse the lentils and place in a medium size bowl. Mash the lentils with the back of a fork or potato masher, but don’t completely pulverize, you want to still have some intact lentils. 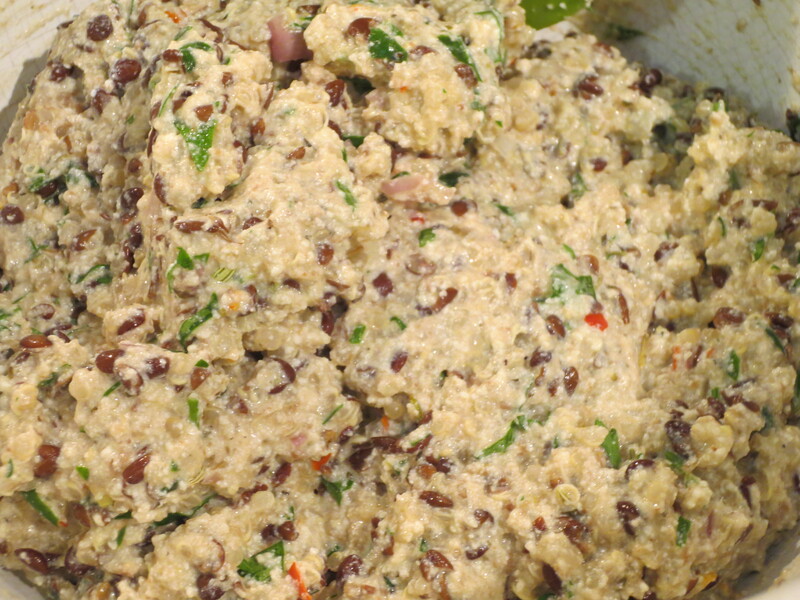 Add to the lentils all remaining ingredients except the quinoa. 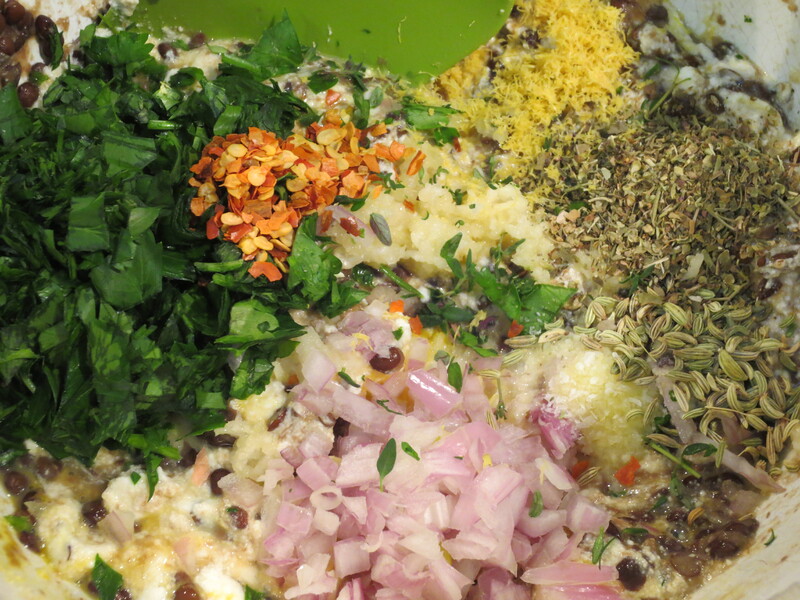 Mix well to combine and then add in the quinoa and mix through. 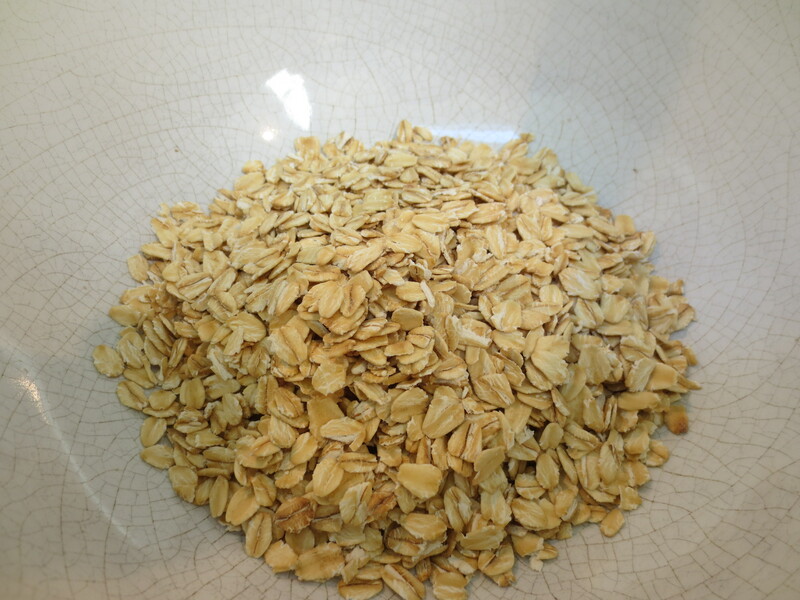 To help keep the mix from falling apart, place in the refrigerator to chill for about 15 minutes. You could also mix this up in the morning and then have it all ready to go at dinner time or even mix it all up the night before. While chilling…Preheat oven to 400 F. And if you plan to serve with spaghetti, start boiling your water and/or prepping the rest of your meal. After your mix has chilled, line a rimmed baking pan with parchment paper or brush the pan with olive oil if you don’t have any parchment on hand. 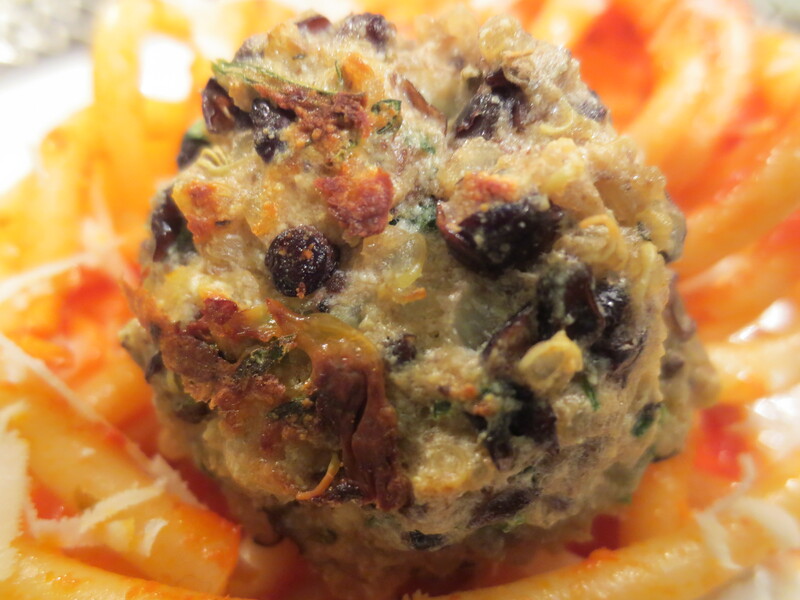 Remove the bowl from the refrigerator and start forming balls, about 1 inch in diameter. 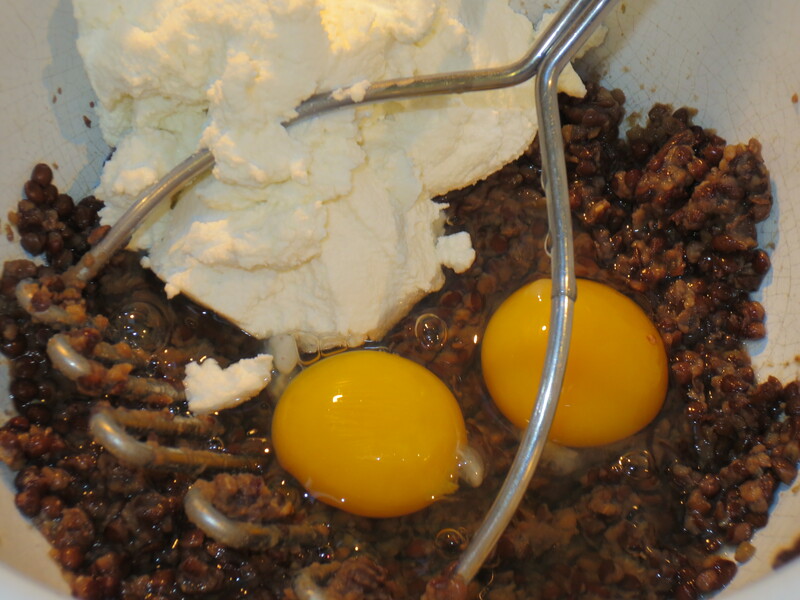 I use my smallest spring loaded ice cream scoop to form the balls, place them on the pan and then press any loose ends together with my fingers once they’re all on the pan. 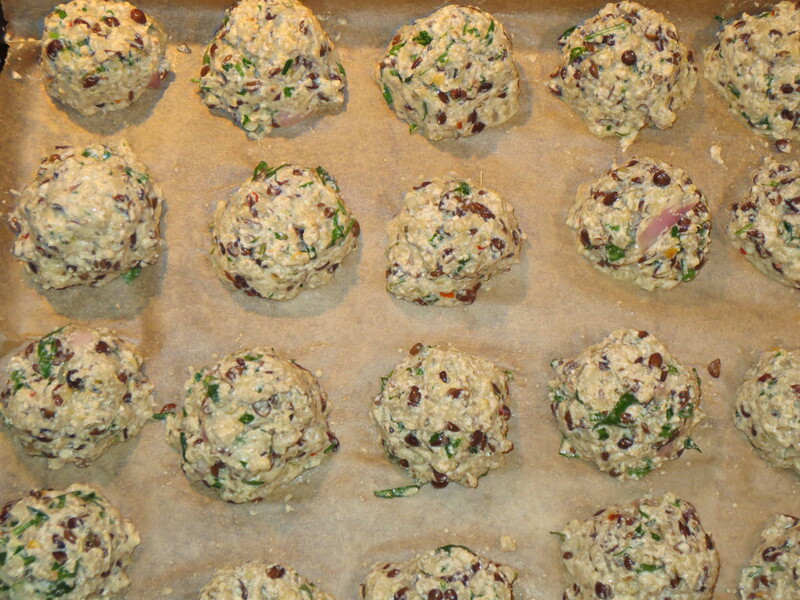 This recipe makes about 28-32 balls. These don’t need a lot of space on the pan, so I pack them in pretty tight but don’t let them touch. Bake for 15 minutes at 400 F, until the bottoms begin to brown and then carefully turn and bake another 10 minutes. Serve atop spaghetti with your favorite tomato sauce, I like them with a spicy tomato sauce, but marinara is tasty too. Or if you’d like to skip the pasta, they’re also great atop sautéed greens, like swiss chard. You could even squish them between some Italian bread with tomato sauce for a yummy vegetarian meatball sub. A little extra grated Romano cheese over the top completes it. Enjoy! Recipe notes: don’t be dismayed if you feel like this makes too many, cooled leftovers freeze great for a quick meal in the future, just defrost and reheat. You could also serve these as party hors d’oeuvres with a little pesto dipping sauce. 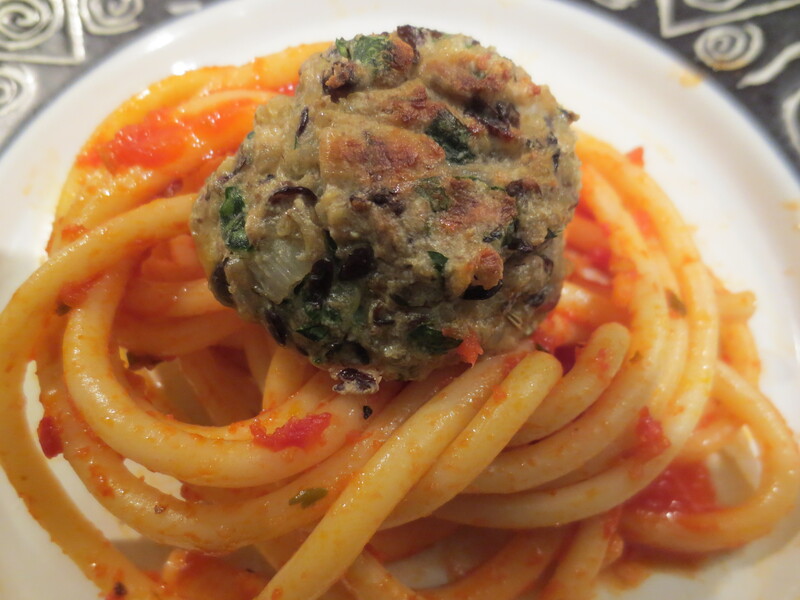 *Also a note about lentils, I use black lentils also known as French lentils here, they are a bit firmer and hold up better than brown or green lentils when mashed and I like that slightly al dente bite they lend to these meatballs. 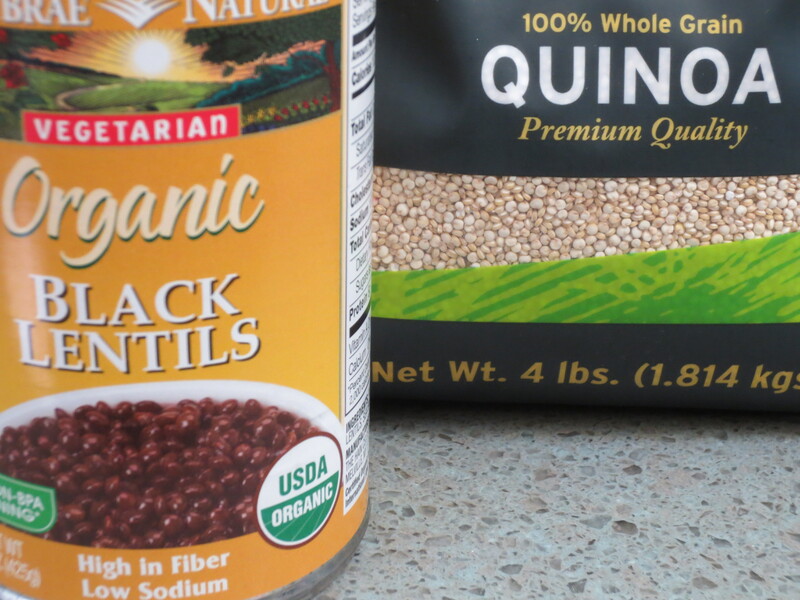 If you can’t find them canned, you could easily cook up a batch of dried, lentils are the one bean that cooks up quickly without any need for overnight soaking. I love beets. 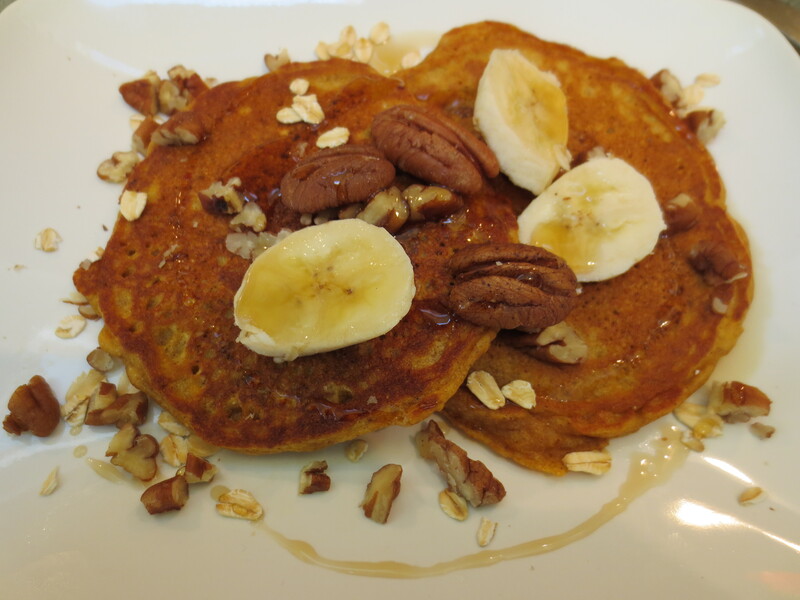 They are delicious and nutritious, although not everyone agrees with the delicious part. I still can’t get any member of my household to consume them, but I still love making them this way and make them often. The dressing gets absorbed into the warm beets and adds a light citrus flavor. They can be kept for days in the fridge and I can enjoy them mixed with my daily salad. 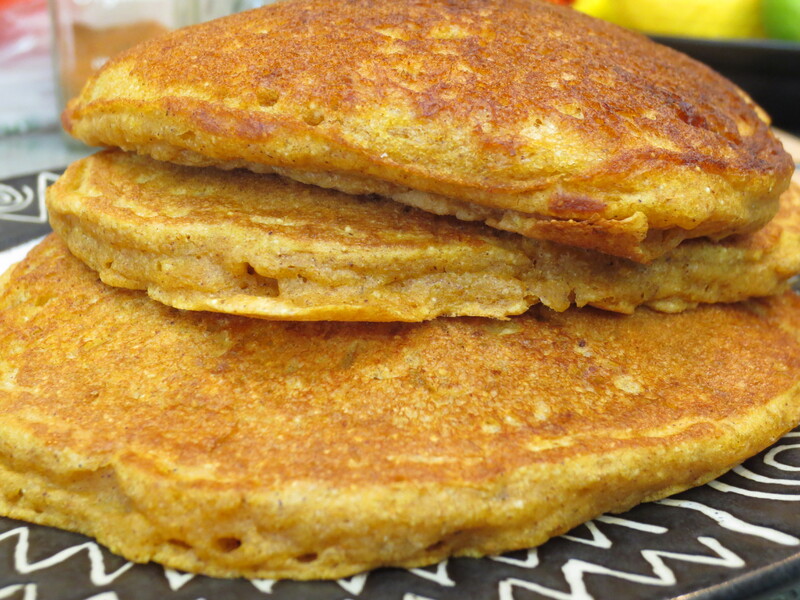 If I’ll be seeing my mother anytime after making these, I always share a bit, since she is the one family member who does share my love of this fantastic root. If you’re lucky enough to find beets with the greens attached, consider it a bonus. The greens are even more nutritious then the roots. They taste similar to Swiss chard and can be used in any recipe where chard would be used (sautéed with leeks, in soup or a frittata, etc). You can also eat the greens raw in a salad, the stems are tender and edible too. Beware, though the stems and roots will bleed and cover your cutting board and any dish a beautiful pinkish purple hue (don’t worry it will wash off most surfaces). Also, it’s important to note, when you get home from the store you will want to cut the greens from the roots, leaving about an inch of the stem attached to the root. Bag the roots and greens separately and keep in the refrigerator until you’re ready to use them. 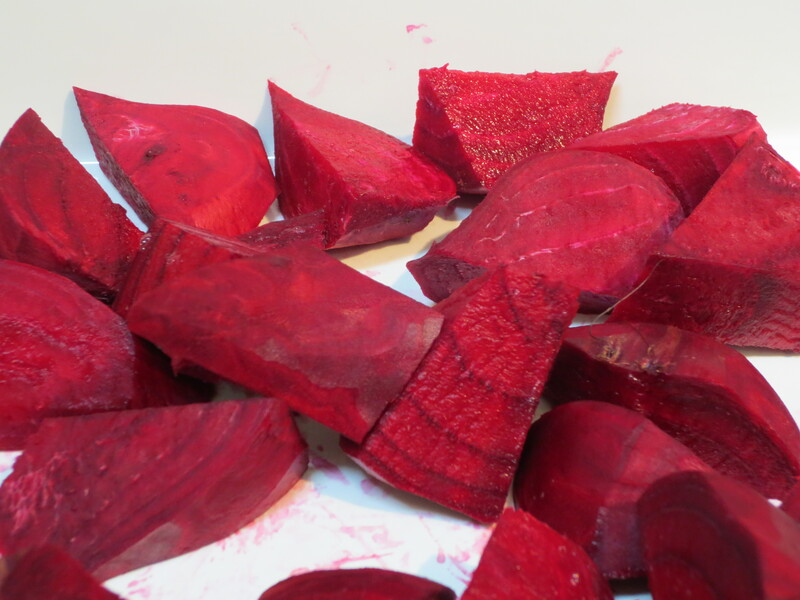 Prepare Beets – Wash, peel, trim and cut into bite size pieces. 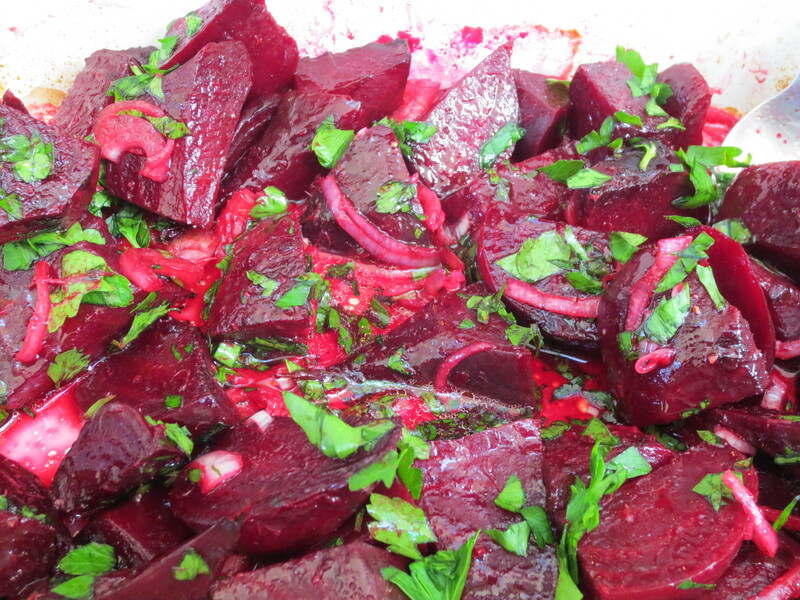 Place beets in a small casserole dish and drizzle lightly with Olive Oil. Cover with foil. Roast in a 400 F degree oven for about 45 minutes to 1 hour, until cooked through. You’ll know the beets are cooked when you can easily pierce them with a fork. Meanwhile, prepare the dressing. 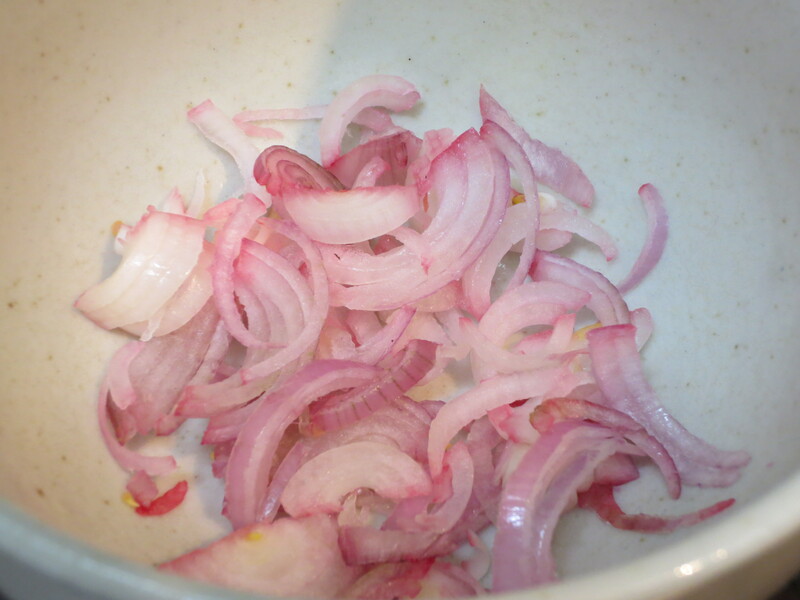 In a small bowl add the thinly sliced shallot and the remaining dressing ingredients, except the parsley. Stir to combine. 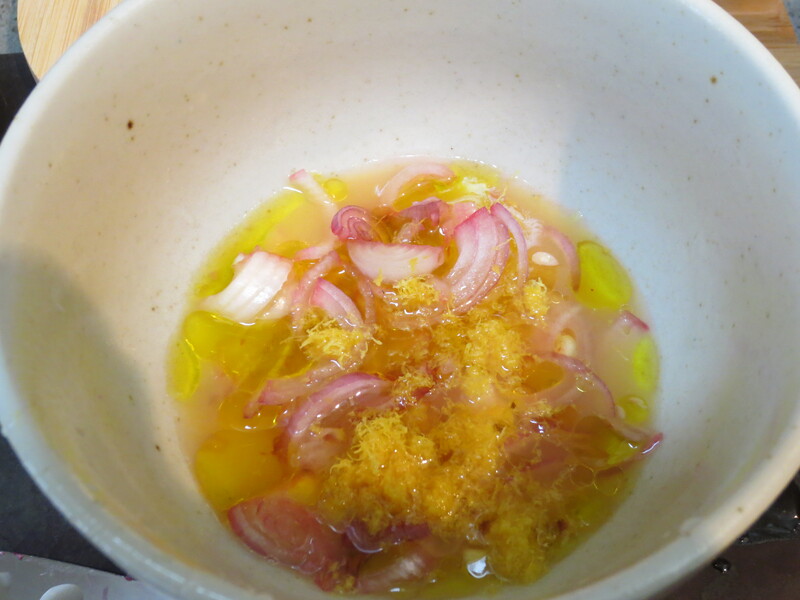 Allow the dressing to sit for a bit to allow the shallots to pickle slightly. When the beets have cooled, but are still a bit warm, pour the dressing over and toss to coat all the beets. The warm beets will absorb the dressing nicely. When they have cooled a bit more, sprinkle with the chopped parsley and stir to combine. 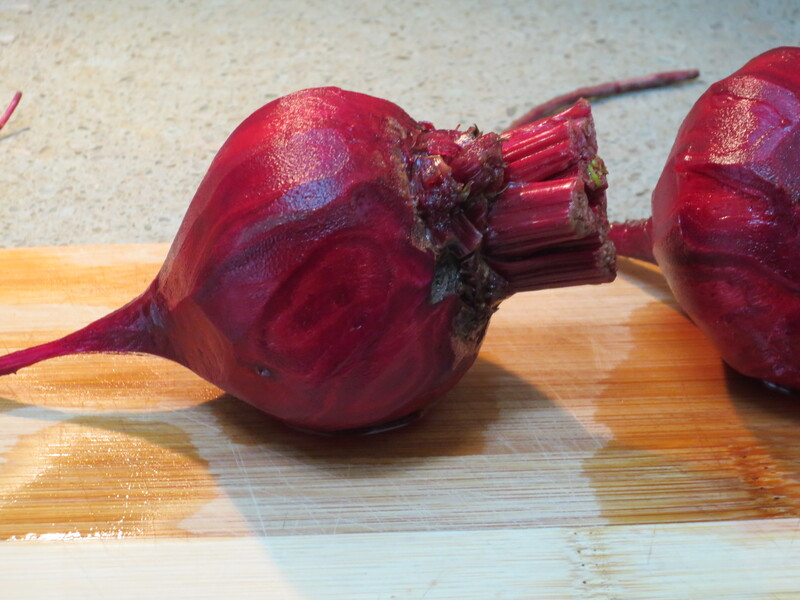 Allow the beets to cool completely before serving. 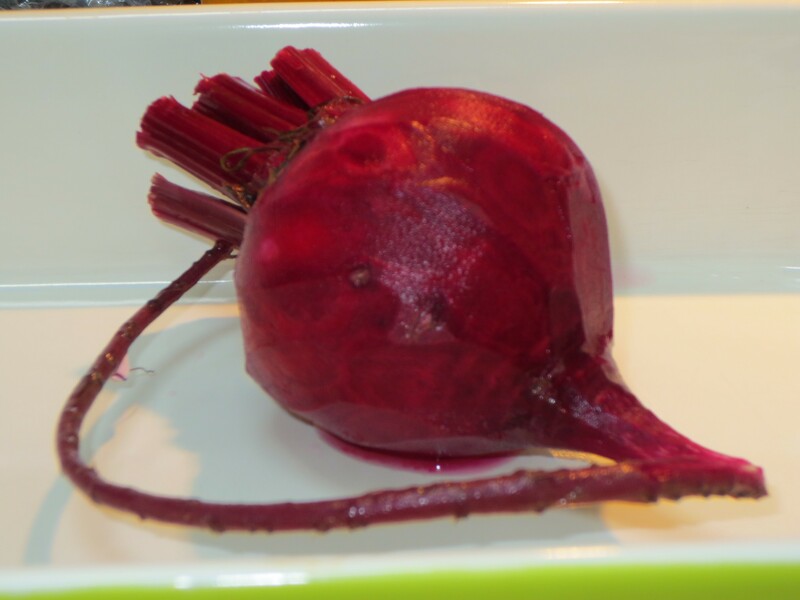 Leftover beets are fantastic when stored in the refrigerator. They will keep for several days. Enjoy marinated beets as a side dish or tossed with a salad of baby spinach and crumbled goat cheese or any salad of your choice. I rarely cook fish at home, for a lot of reasons which I won’t bore you with, but there are a few I’ll mention here now. One is Colin. He doesn’t like it. Give him a plate of sushi or a platter of pickled or smoked fish and he’s a very happy man (he’s not even Jewish!). But once cooked, he won’t go near it with a ten foot pole. Also and probably in part because of the fact that I don’t cook it often, I’m afraid to. Fish is so easy to overcook and dry out, who wants to spend the money, time and effort to just end up ruining it? Not me. And lastly, it almost goes without saying, it tends to stink up the place and the aforementioned Colin, hater of all cooked fish, really detests the smell of it. BUT, Skyler LOVES cooked Salmon and begs me regularly to make it. I’ve been able to get away without for some time, since thankfully my dad prepares it often for us, but not often enough for Skyler. Now, finally I have discovered a perfectly easy way to cook salmon in my house without the smell, really it’s true. Slow roasting in the oven at a low temperature, bathed in marinade, Salmon cooks up moist and delicious with absolutely no fishy odor, absolutely none. 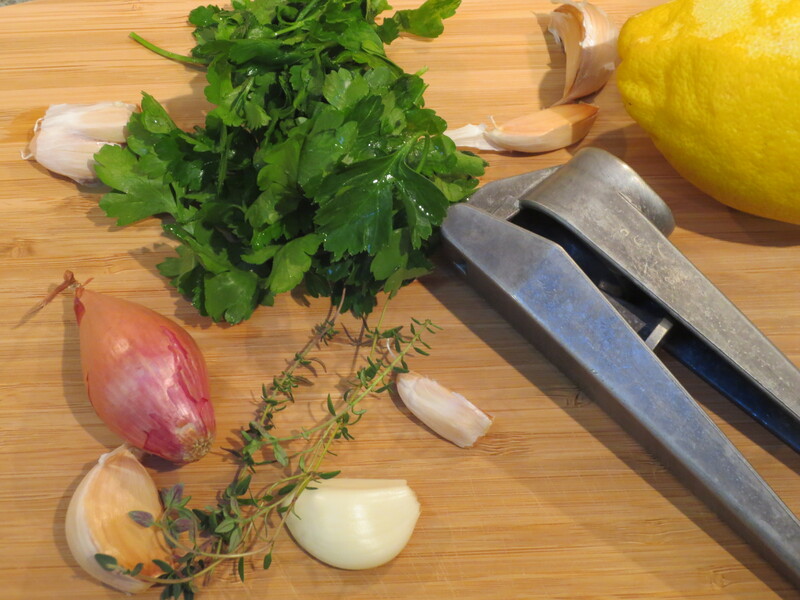 I came up with this super simple marinade years ago and it has been a family favorite ever since. 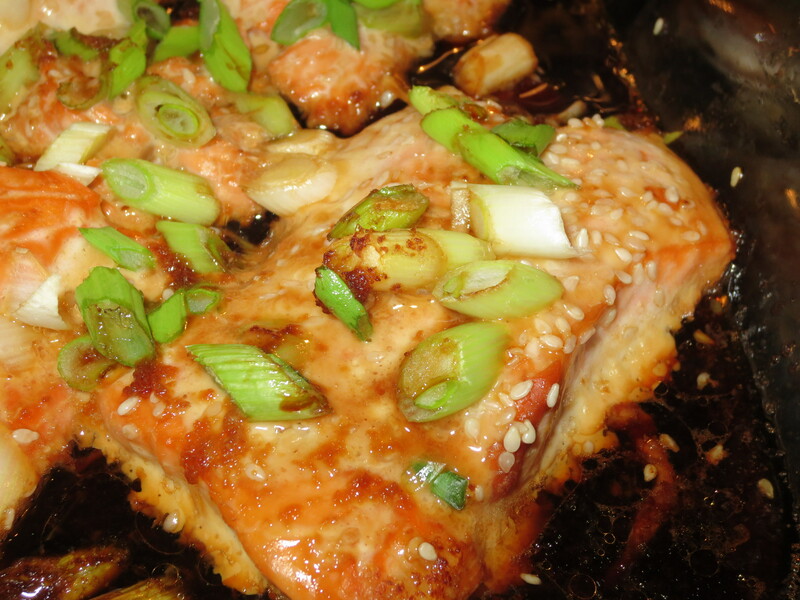 With just a few ingredients this marinade is so flavorful and is not only perfect for salmon, but chicken too which makes it great for dinner parties and extended family gatherings, where so many different people need to be pleased! When the weather’s warm we forgo the oven and make this on the grill, which is actually how it all began years ago. I like to remove the skin from my salmon fillet (but only if roasting in the oven, when grilling outside I leave the skin on), but this is purely a personal choice, if you like the skin by all means leave it on. To remove the skin, place the fillet on a cutting board skin side down (I usually leave it resting on the paper it was wrapped in to keep my board clean) and run a very sharp knife between the skin and flesh, this may take a little bit of effort. If you’re not a “professional fish skinner”, I find that it makes it easier to cut a large fillet into portions before trying to remove the skin. 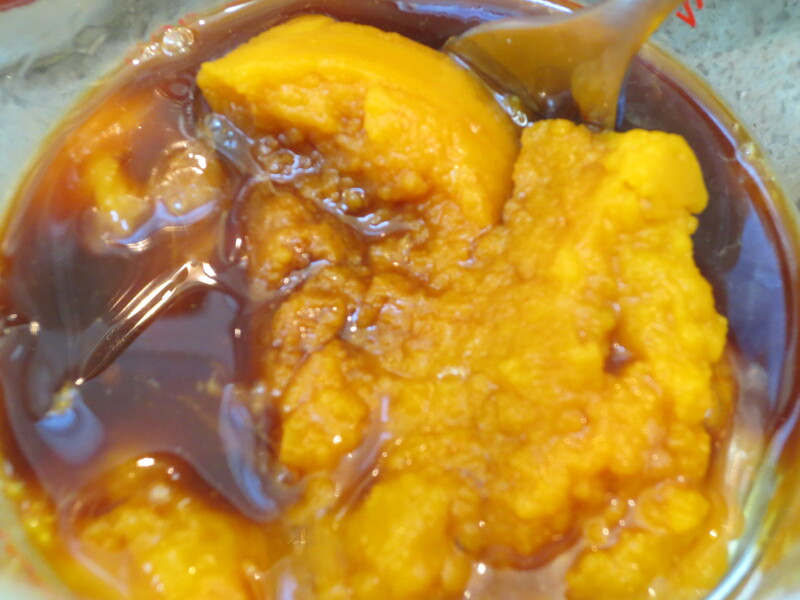 Prepare the marinade by mixing the Soy Sauce, Water, Sesame Oil and grated Ginger in a small bowl or directly in the dish you plan to roast in (I use an 8 inch square Pyrex dish). 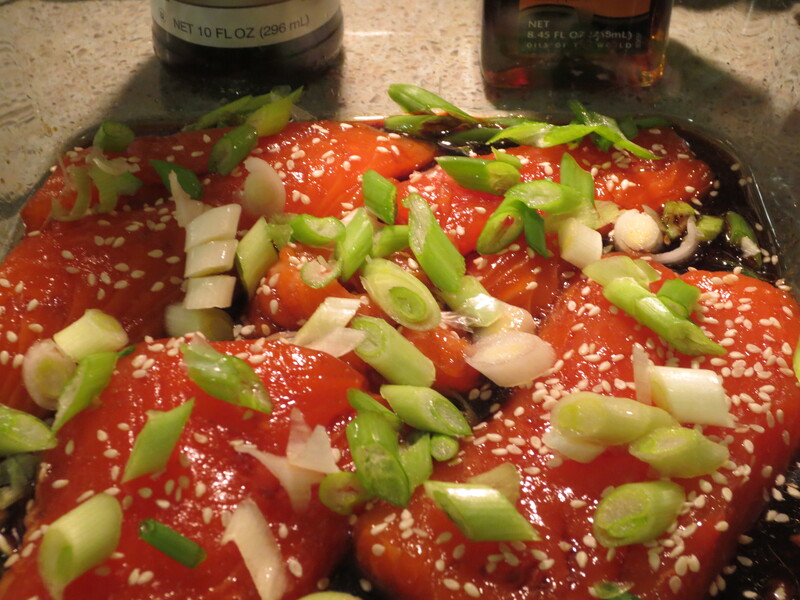 Place the salmon and marinade in your baking dish. Sprinkle with sesame seeds and the white and light green pieces of scallion (reserving the dark green pieces for a garnish). At this point, you can either leave the Salmon to marinade for a little while or longer if you wish to prepare it ahead of time (in which case don’t preheat your oven). If you’re not going to cook the Salmon fairly soon, cover and place in the refrigerator. When the oven is ready, put the Salmon bathed in all the marinade in the oven and slow roast for 25-35 minutes, depending upon how large or thick your fillets are and how you like it cooked. After 20-25 minutes, I check for doneness by cutting a large piece halfway through with a butter knife. 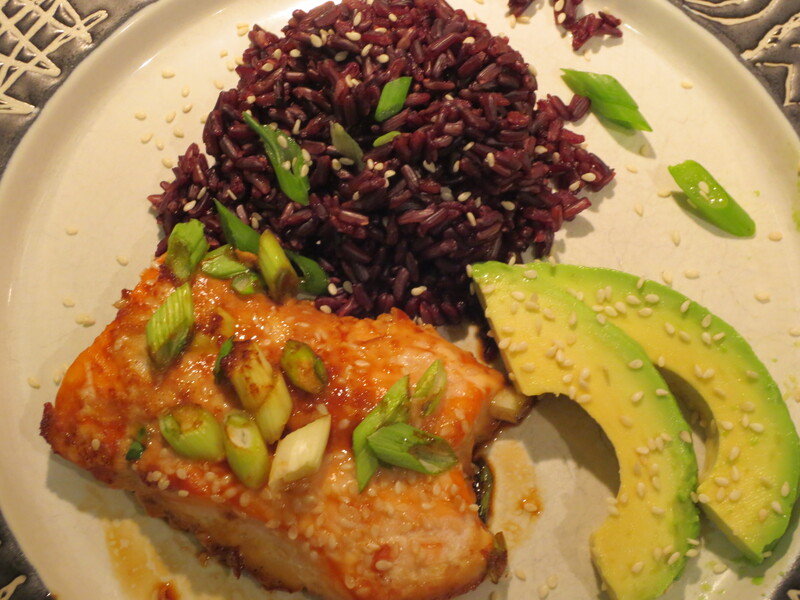 With the marinade and low temperature, unlike a lot of other fish preparations, this is really difficult to overcook. 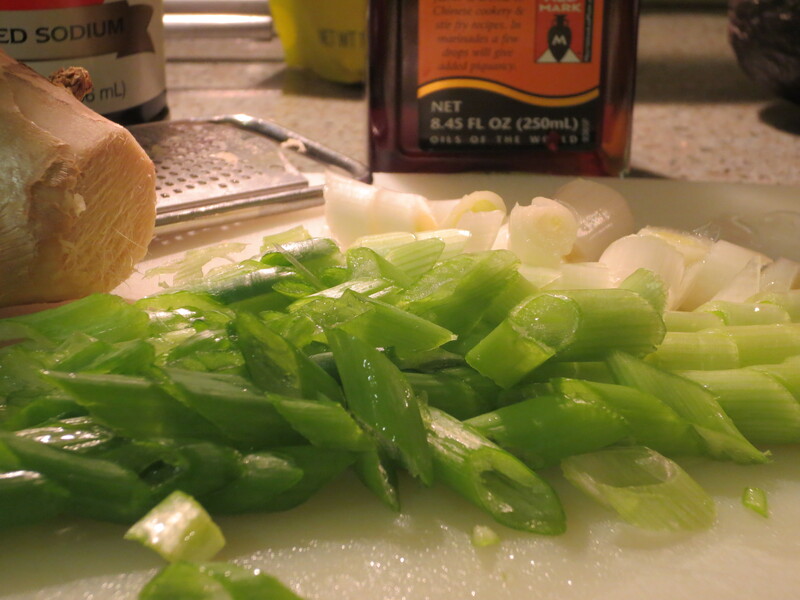 The marinade also cooks down to create a nice sauce. Once cooked to your liking, remove the salmon from the oven and sprinkle the remaining dark green slices of scallion on top and serve. This is actually quite tasty straight out of the oven or at room temperature. Enjoy! Recipe Notes: If you’ve made enough for a crowd and end up with leftovers, you can keep them refrigerated for a day or two. I prefer not to reheat any leftovers as I feel like it changes the taste and texture of the salmon a bit, plus reheating in the microwave will stink A LOT. I just eat leftovers cold, they are delicious over a salad or in a wrap with some sliced avocado. Unfortunately, I can’t give you cooking times or temps for chicken. I’ll make your life easy, if cooking for a crowd, here’s the recipe quantities my parent’s use: Good for about 4-6 pounds combined of Salmon and Chicken breast. Extra marinade will keep well in the fridge for at least a week.